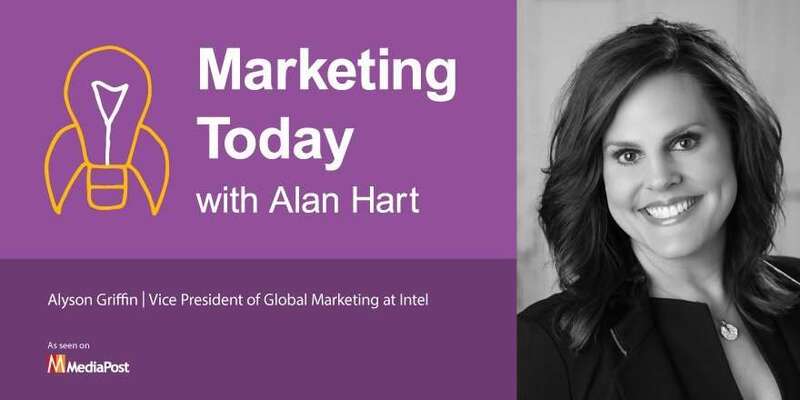 For this week’s episode of “Marketing Today,” Alan talks with Alyson Griffin, vice president of global marketing at Intel, where she’s recently taken the reins as global marketing lead for Intel’s IoT Group. During the course of their conversation, Griffin talks about her decision to leave pharmacy school in something of a seismic career shift, her subsequent decision to leave HP after 17 years for an opportunity with Intel, and her advice for young marketers. The common thread that ties those elements together: change.